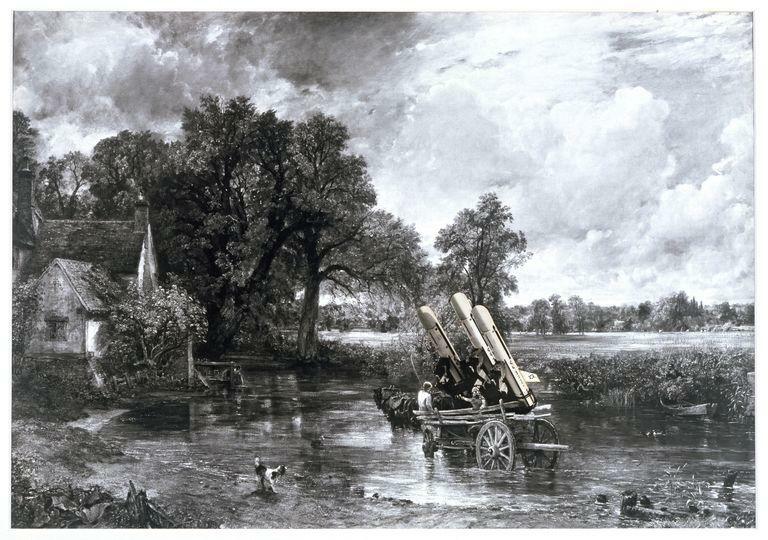 In this subversive photomontage, three nuclear warheads are inserted into the idyllic East Anglian countryside depicted in John Constable's famous painting The Hay Wain (1821). The impetus for this work was the proposal to hone US nuclear cruise missiles in rural East Anglia. It was also a response to a Ministry of Defence leaflet that portrayed the missiles in delicate watercolours. 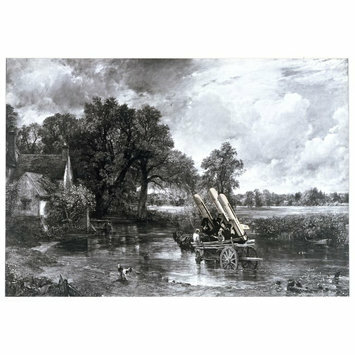 A black and white photograph depicting an altered version of Constable's oil painting The Hay Wain. 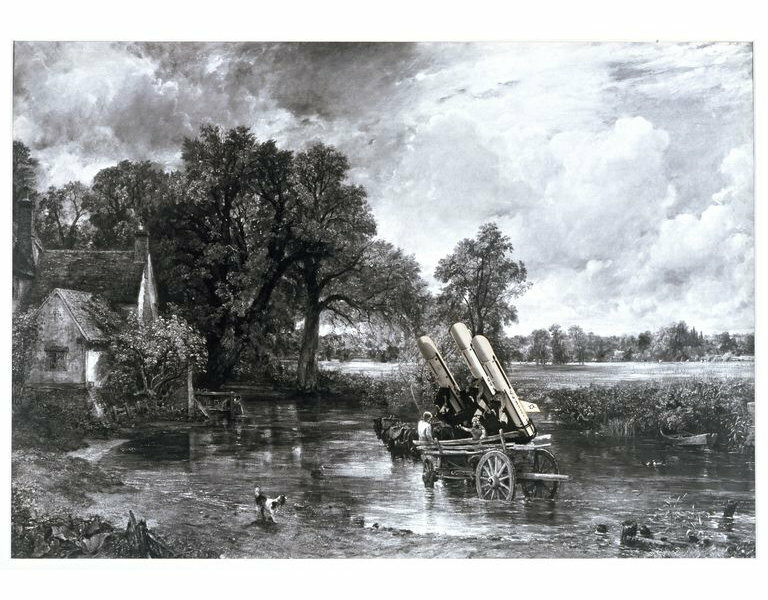 Inside the hay wain there are now three nuclear warheads and a man in military gear holding a grenade in his right hand.